 We were very impressed with Ze from our first meeting. He is so friendly, has no attitudes, and so down-to-earth. We were very happy with our pre-wedding photoshoot. Ze has got the passion for photography running through every vein in his body. Ze can make ordinary things look miraculous in photos. I don’t consider myself photogenic. During 10 seconds of posing, I may have 1 millisecond of a natural smile; Ze would manage to capture just that moment. We both realised that he has got the perfect timing. During my visits to his studio, I noticed that he uses Google Apps for Business, a cloud-based productivity suite. His calendar was synchronised across all his devices and I soon realised he was a very organised person who has the love for technology and efficient work processes. My wife first met him during the Perth Bridal Expo 2012. He was one of the very few professional photographers who would give the full resolution JPG files at an affordable price. I know there a lot of professional photographers out there who don’t give out any digital copies at all due their “intellectual property” rights of our faces! Obviously we didn’t even consider them. I am not a person who likes hard copies. Personally I prefer everything in digital copies and this mattered to me the most. Saying that, I admired the quality of the albums he had got to offer. Without any hesitation, I agreed with my wife to choose the album she liked to go ahead with. His teamwork was astounding. We also had Launch Films in our wedding. They worked together as if they were from the same company. I wish him very best for his career and hope to seek his services in any professional photography I would encounter in the future and recommend to our family and friends.